Oh, you geeks. I already love you so much and then you go and do stuff like this. And then I fall in love with you even MOAR. 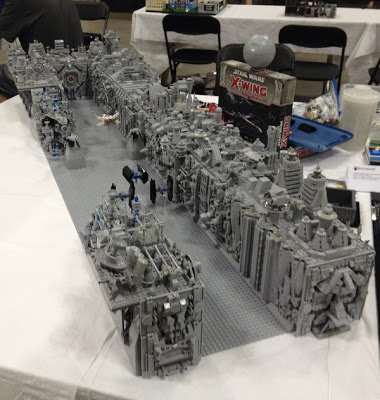 First up: You might have caught the link I posted on my Facebook page Sunday to a photo of the Star Wars Death Star trench run completely recreated in Lego. There is very little information about this photo so I have no idea how many pieces were involved or where it was showcased, but OMG people this thing is incredible. As I was searching though, I discovered an even bigger display of trench run nerdery: someone recreated the movie in Minecraft. Painstakingly rebuilt the trench and then recreated the scenes and then overlaid the audio... wow.